Art Desk, work desk, activity area…all with plenty of storage. 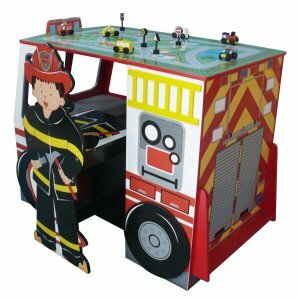 The large desk features a fun fire engine theme that kids will love. The chair features a fire fighter look and it fits flush in the unit providing for a neat and easy put-away. Bright crisp graphics enhance any room.